Christian boarding school for teenage boys in Mississippi - Prayer Mountain school for boys, located in Georgia. – alternative boarding schools and Christian boarding schools. Researching Christian Boarding Schools for Boys in Mississippi? Most May Not Help Your Boy if He is Struggling with Emotional or Behavioral Problems. At Prayer Mountain, We Can and Do Help Troubled Boys! Researching a Christian boarding for boys near Mississippi? Would you also consider Prayer Mountain Boys Academy, located near Atlanta, Geogia? Much more affordable than most therapeutic programs and schools around Mississippi, our school for boys is designed to help your boy from Mississippi make positive changes in his life, academically, behaviorally and spiritually. Prayer Mountain Boys Academy is dedicated to helping boys find freedom from life-controlling issues. Families searching for Christian boarding schools prefer Prayer Mountain Boys Academy because of our Christ-centered focus and the caring nature of our program. Everything about our all boys school centers on a relationship with Christ, from our pastoral counseling to the character-building curriculum we use. Our residential counseling program lasts 15 months, providing adequate time to establish new habits. 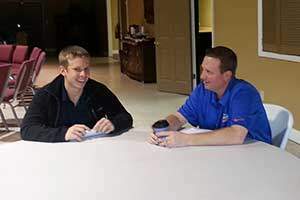 With our campus in Southwestern Georgia, Prayer Mountain Boys Academy offers help to boys and their families from places across the country, including from Mississippi. Christian boarding schools offer a safe place to pursue education, without many of the common distractions at typical coed junior high and high schools. Those distractions may have led your teen to lose academic focus and lose perspective on preparing for his future. Prayer Mountain Boys Academy is in existence to not only offer strong academics, but also works on the root issues that contributed to academic struggles. Students at Prayer Mountain Boys Academy get their education and their attitudes back on track, assisted by our certified teachers and tutors. Prayer Mountain is a troubled teen program and Christian boarding school that is affiliated with Teen Challenge International. We provide counsel to teenage boys, ages 13-17, to help them find their identity in Christ and to fulfill their God-given destiny and purpose. Prayer Mountain is different from other normal boarding schools because we are designed to to work with difficult boys. Our communications and dealings with each boy are Christ-centered. Behavior modification is not our purpose, though it does happen through inspiring the boys to make authentic change that will continue for a lifetime. Our team is made up of people whose hearts beat for God and for helping the young men He brings to us. Among all boys boarding schools, including those in Mississippi, Prayer Mountain Boys Academy stands out due to its association with Teen Challenge. Teen Challenge has one of the greatest success rates of any similar program in the nation, and it has been helping individuals make lasting positive change for more than 50 years. The effectiveness of Teen Challenge has been applauded by national leaders, including Presidents Ronald Reagan and George W. Bush, and Rev. Billy Graham. Contrary to boarding schools for boys in Mississippi with a mainly academic focus, Prayer Mountain Boys Academy has a focus that involves the parents and siblings as well. The curriculum includes family counseling to help boys and their parents to restore damaged relationships, and also to help parents address issues in the home and receive wise parenting help. Prayer Mountain Boys Academy understands that the family aspect plays a major part in the future success of the boys enrolled in the program. Reaching toward family restoration means that when boys return home to Mississippi or elsewhere, they return to a place that is healthy and supportive. At Prayer Mountain, your son will be in a secure Christian boarding school environment designed to provide structure, discipline and real Christian discipleship. Our teacher to student ratio is one teacher per twelve or fewer students, with a math and science tutor also available. Boys in our care work through courses individually under the supervision of a classroom teacher. Education is individualized, allowing each student to be successful at any level of proficiency. Students are taught early on to set goals, a skill that assist them not only to think about the big picture but also to be thinking about today. Our students who go on to college are prepared for studying on their own as well as for dividing up big projects over the course of a school year. We hope you will consider Prayer Mountain Boys Academy in Georgia even as you search for a Christian boarding school in Mississippi. Prayer Mountain is an effective and affordable alternative to other Christian boarding schools for boys in Mississippi. Contact us or inquire online today to learn how our personal and experienced care can bring lifelong healing for your teenage boy. Prayer Mountain Boys Academy is an all-boy Christian boarding school, serving troubled teenage boys with life-controlling issues in Mississippi and around the country. Mississippi is a U.S. state located in the Southern United States. Jackson is the state capital and largest city. The name of the state derives from the Mississippi River, which flows along its western boundary, whose name comes from the Ojibwe word misi-ziibi (“Great River”). Mississippi is the 32nd most extensive and the 31st most populous of the 50 United States. The state is heavily forested outside of the Mississippi Delta area, which was cleared for cotton cultivation in the 19th century. Today, its catfish aquaculture farms produce the majority of farm-raised catfish consumed in the United States. The state symbol is the magnolia grandiflora tree. Excerpt about Christian boarding schools for boys in Mississippi, used with permission from Wikipedia. We can also help you in your search for other schools for troubled teens, schools for troubled teens, Christian boarding schools for teens, therapeutic schools, or boarding schools troubled teens. This is a Teen Challenge boys ranch and boarding school program dedicated to helping troubled boys get a new start in life. Our boys ranch is a therapeutic program that offers hope and an opportunity for a new and more productive future for at-risk boys. Teen Challenge therapeutic boarding school and ranch providing behavioral therapy for troubled teenage boys. Christian boarding school for teenage boys in Mississippi - Prayer Mountain school for boys, located in Georgia.